Earl Grey and a new pattern book on a Sunday morning, what else do you need? 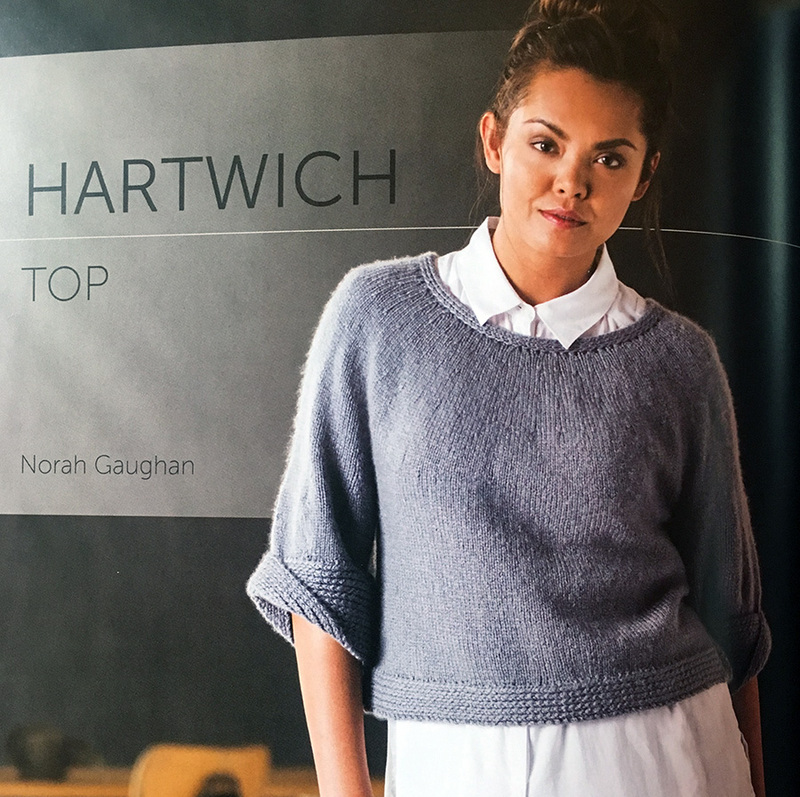 I've always been a fan of the magazine Knit.Wear for its elegance and hidden pops of innovative construction techniques. Do you remember seeing that first cover in 2011? I swooned at that capelet. 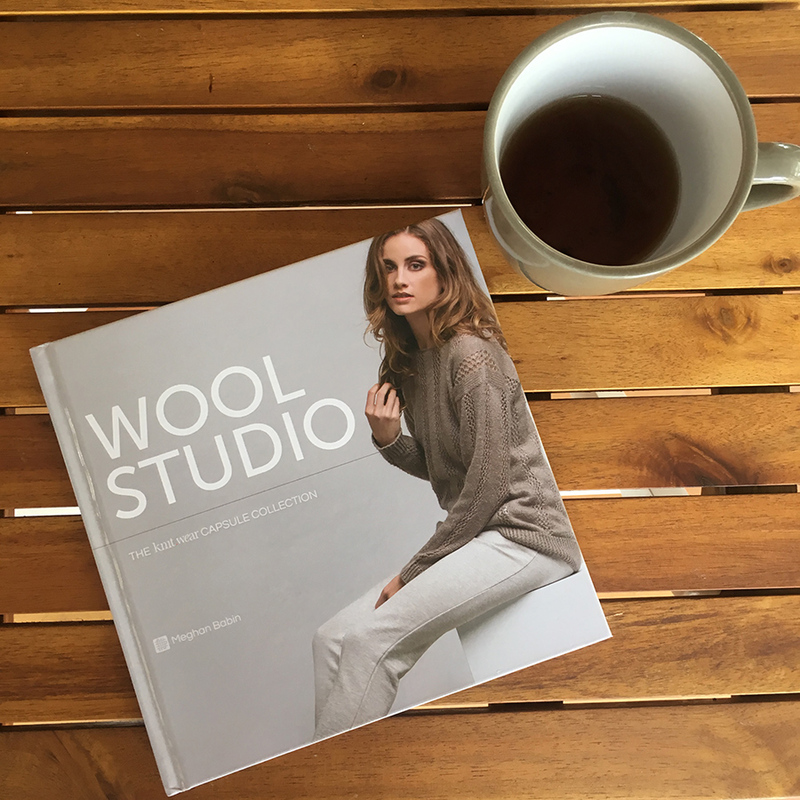 I haven't been able to keep up with all the issues, so I'm happy that Interweave Press has put together a "Best of" series called Wool Studio. 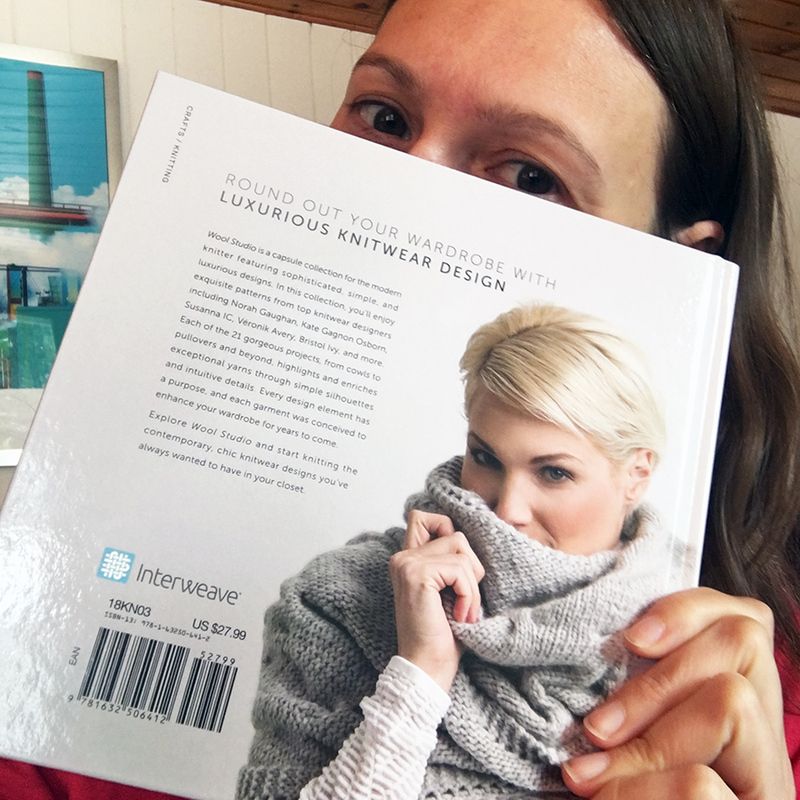 I've got a beautiful hardcover copy of this Capsule Collection of 21 patterns to review... and one copy to give away! And of course, if you just want it NOW, you can purchase it here. 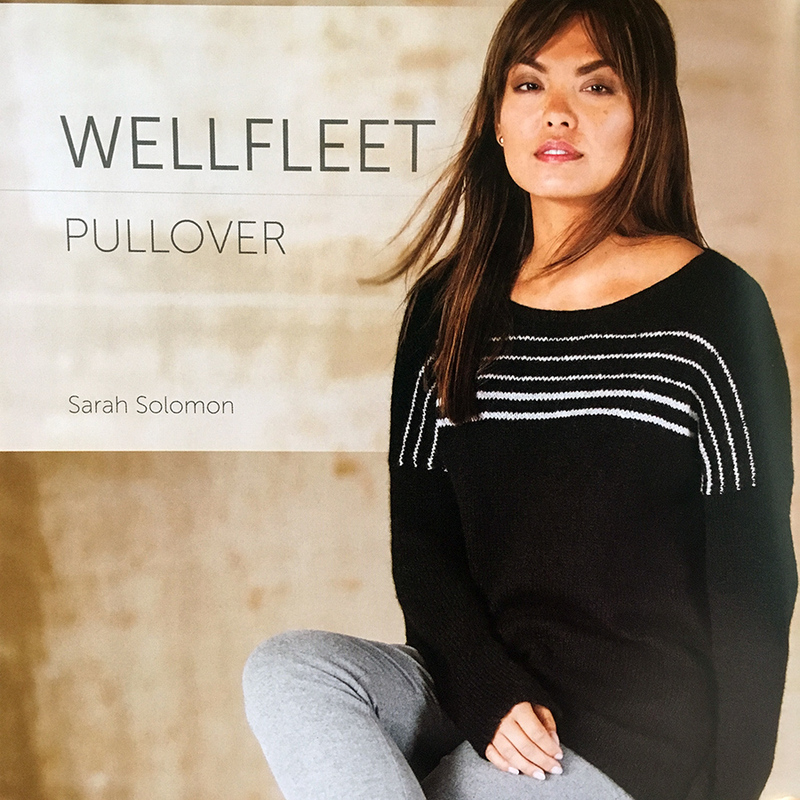 All you have to do is leave a comment with your favorite pattern from the book (shown below) and your Ravelry ID or best way to contact you. 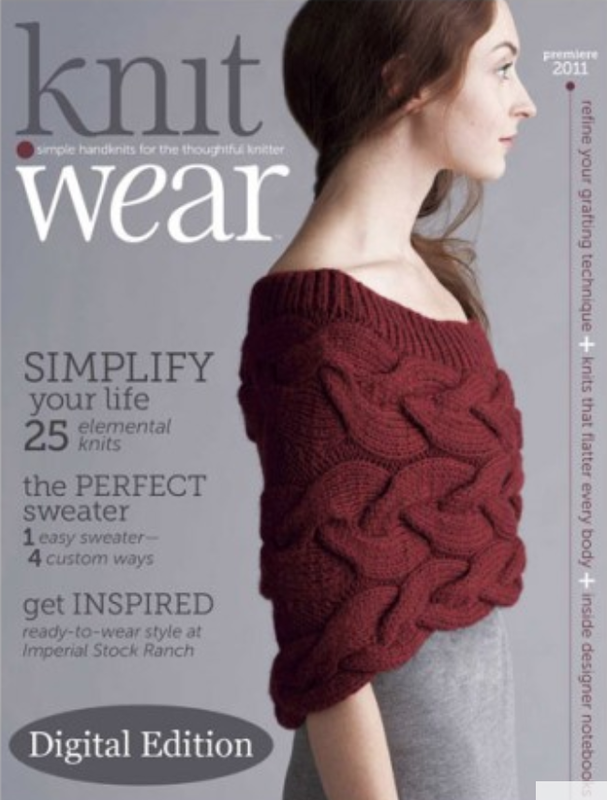 Also, if there is a pattern you loved making from Knit.Wear, I'd love to know so that I can check it out. I'm always looking for great patterns to share! I tend to like patterns with unusual construction or added elements you can only see from certain sides. A lot of these fit the bill! Nice swingy tee, but I'd lower that bust line a bit. My pick. Simple but with some fun random ruching. That cable stitch is amazing. That collar doubles up for extra warmth and design interest. Totally classic and the twisted rib finishes it perfectly. 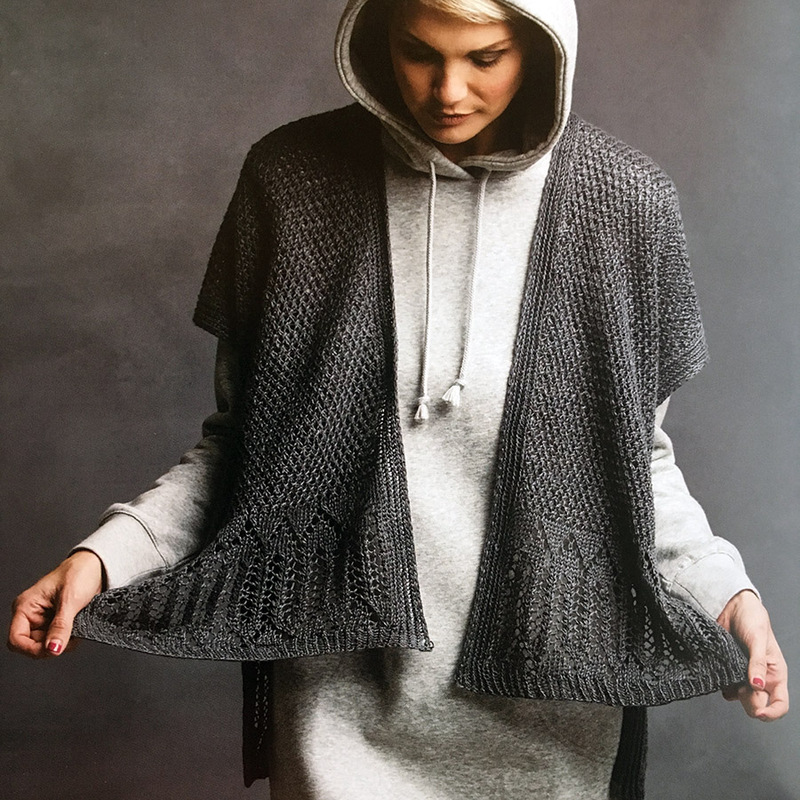 Not sure about the hoodie styling, but love the cardi! This one is crazy, you've got to see the chart! Really nice shape, would love to see this in a lighter wool. Look at that side detail, fun! All it takes is a stitch for a really cool cuff. Party in the back! Very unique construction. 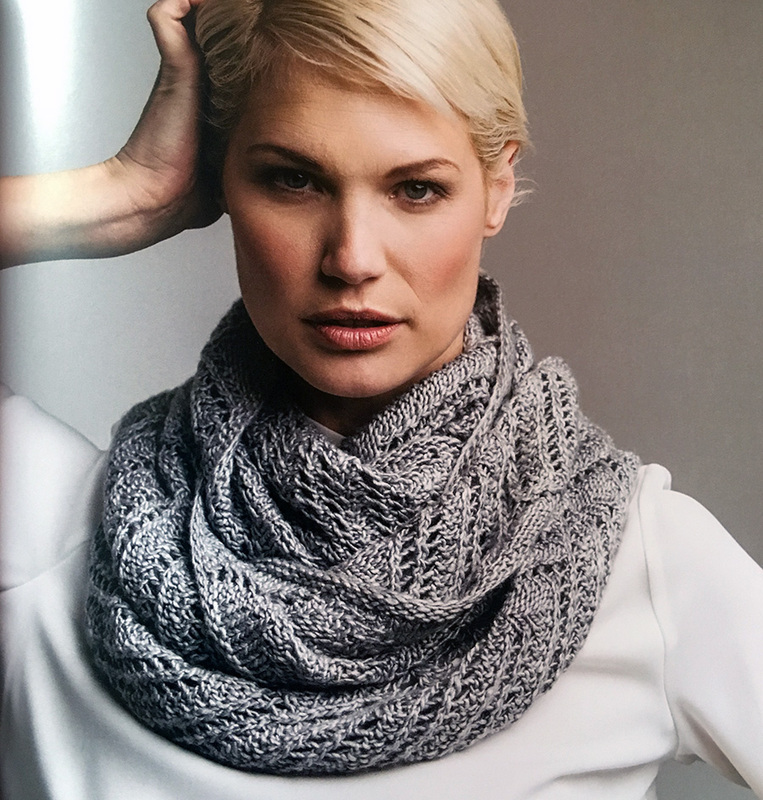 This yarn is amazing in this stitch pattern. 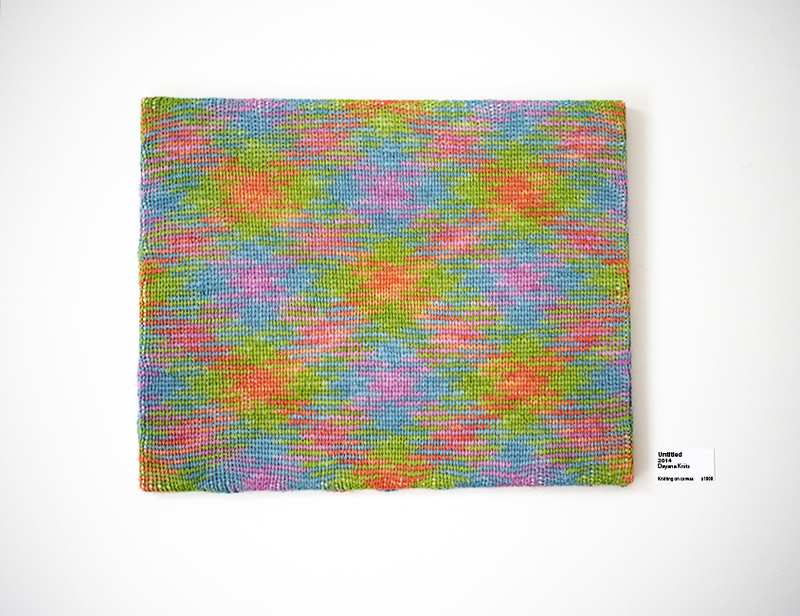 So, which design would you make if you had Wool Studio in your hands?! 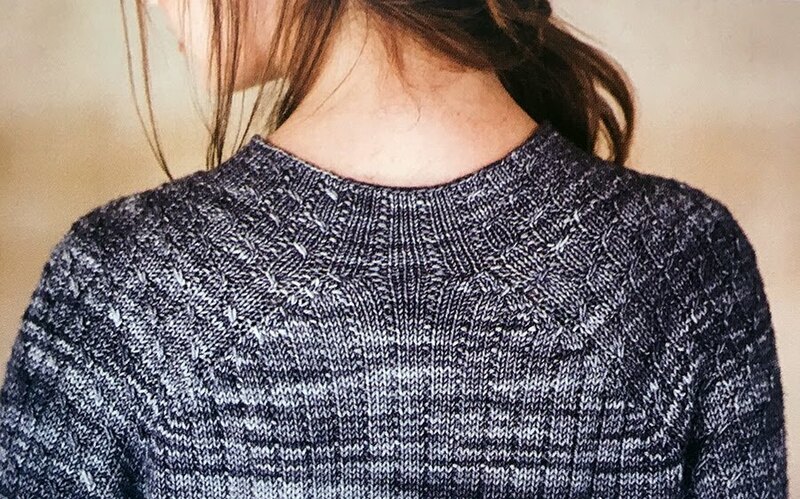 My pick is the Ojai Top to show off a gorgeous laceweight yarn I've had in my stash... which of course is the colorway Earl Grey! And here's how you all voted! Hi - My favorite is Eastham. I also like Ojai, but I would find a way to narrow the neck opening, because I hate wide neck openings that cause sweaters slip off my shoulders. Mmmhh... my favourites are Avila and Ojai, but other designs are nice too. My Ravelry id is anjaku. 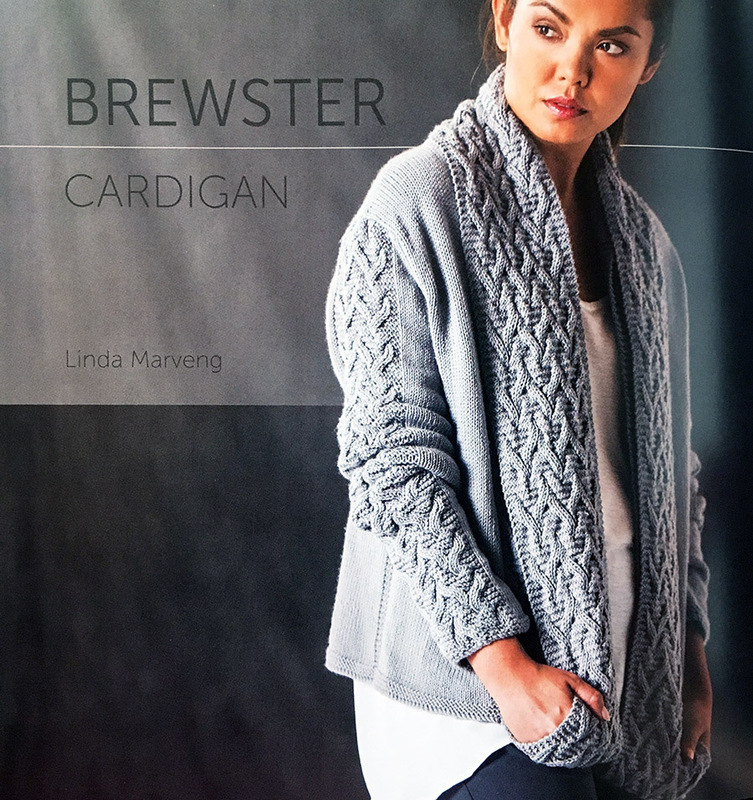 I love the Brewster Cardigan. Those cables are to die for! My email is hopester777@gmail.com. I think Pismo Beach is my favourite...but so many look awesome! What a great book. Thanks for the chance to win it! 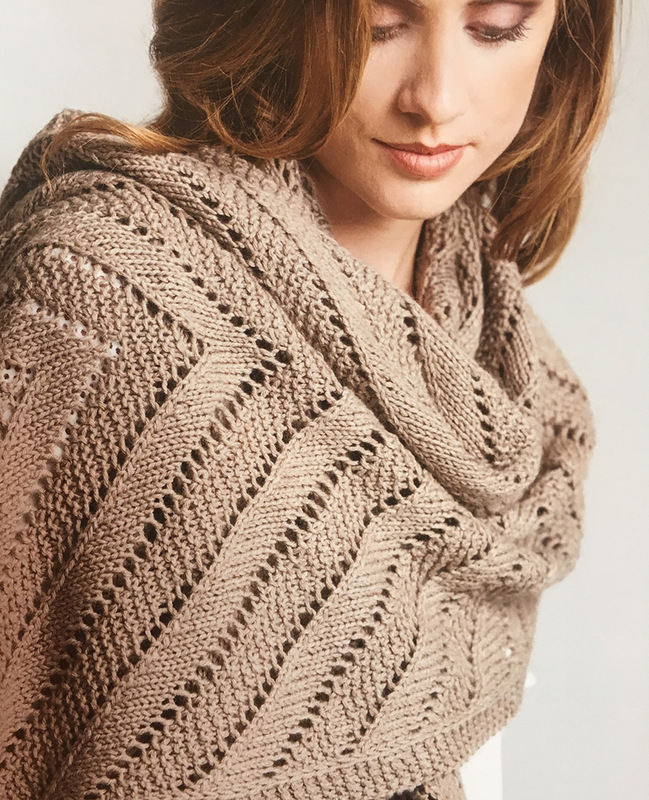 I was surprised to find Eastham in this collection, because one of my first knitting inspirations was this lovely Poncho for my Sw(eao)ncho, as I called it. I even incorporated this pattern on my Revelry page just from the looking. 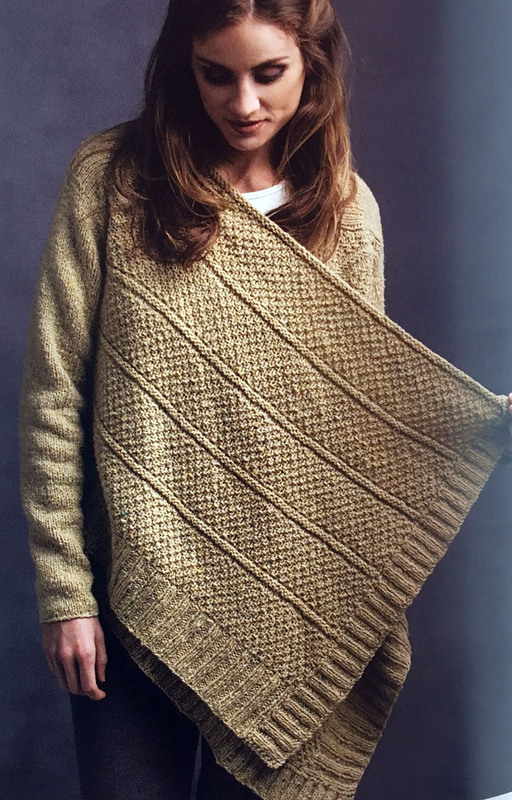 I would love to knit Eastham, but this time like the one on the picture! This was a Christmas gift for myself in 2016! 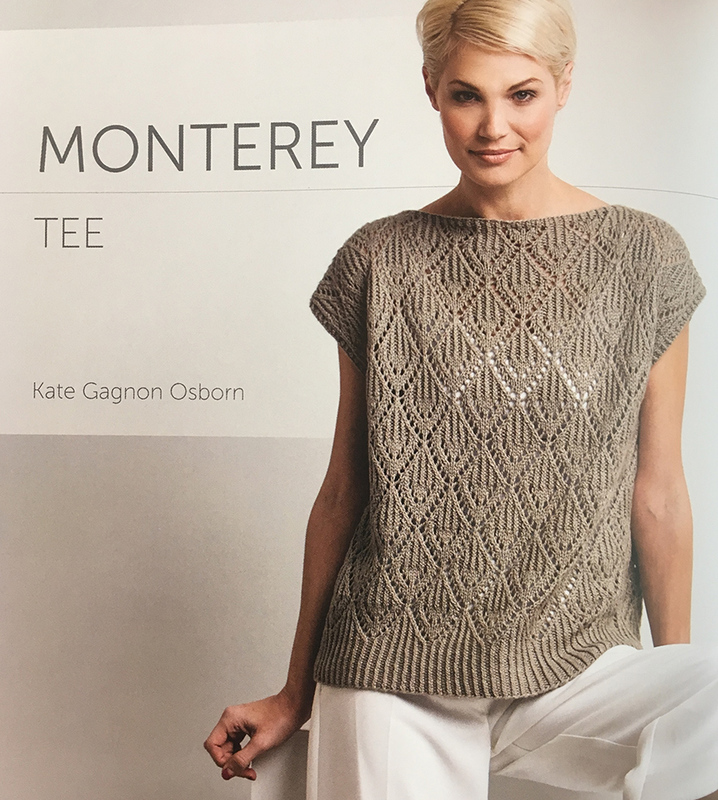 The Monterey Tee is stunning! 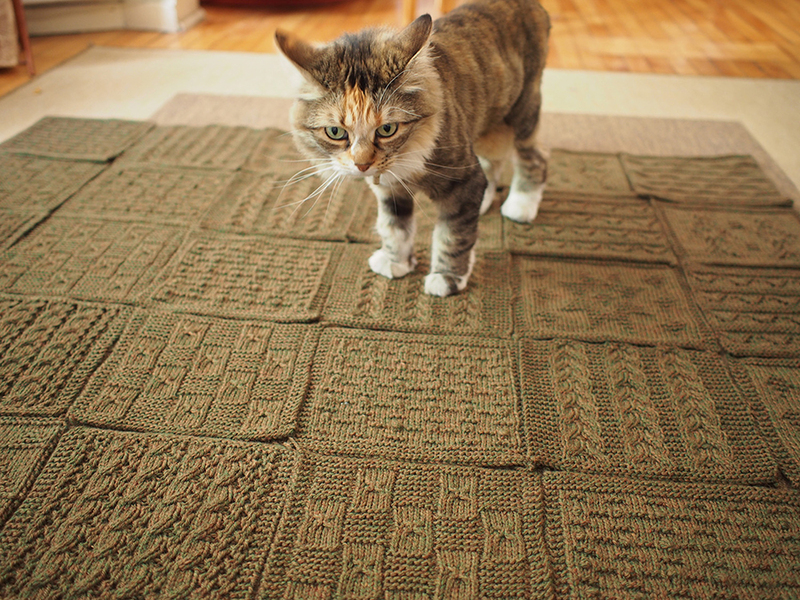 lindarumsey on Ravelry. I love the Avila Tee ... already have the yarn! 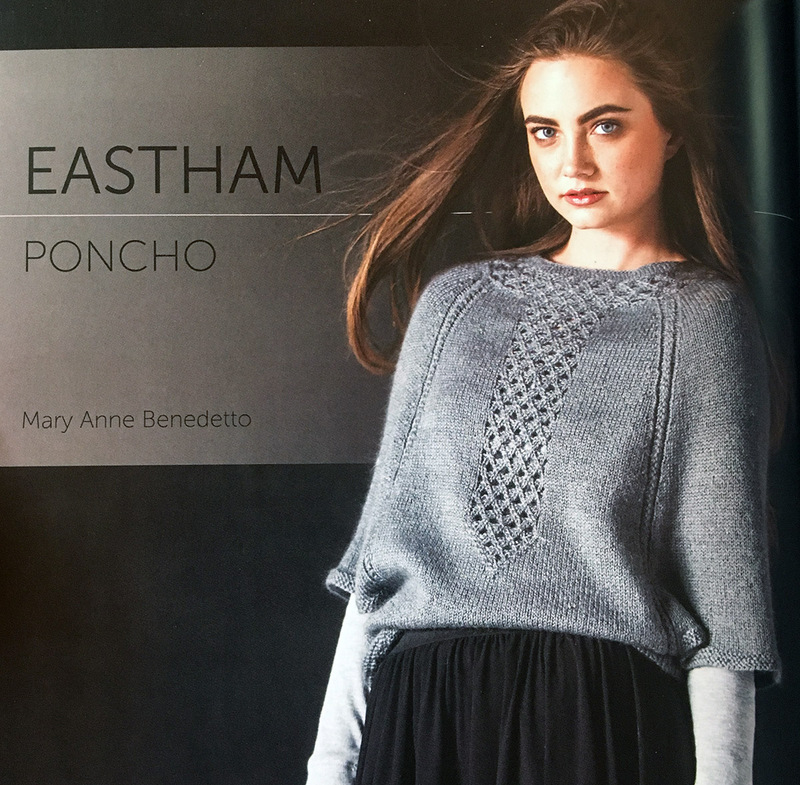 I love the Eastham Poncho. I’m PendleStitches on Ravelry. I love the entire book of patterns. They are all lovely but if I have to choose my fav, it would be Carmel by the Sea. Falmouth is my favorite. But there all beautiful. But I do love my cardigans and tees. 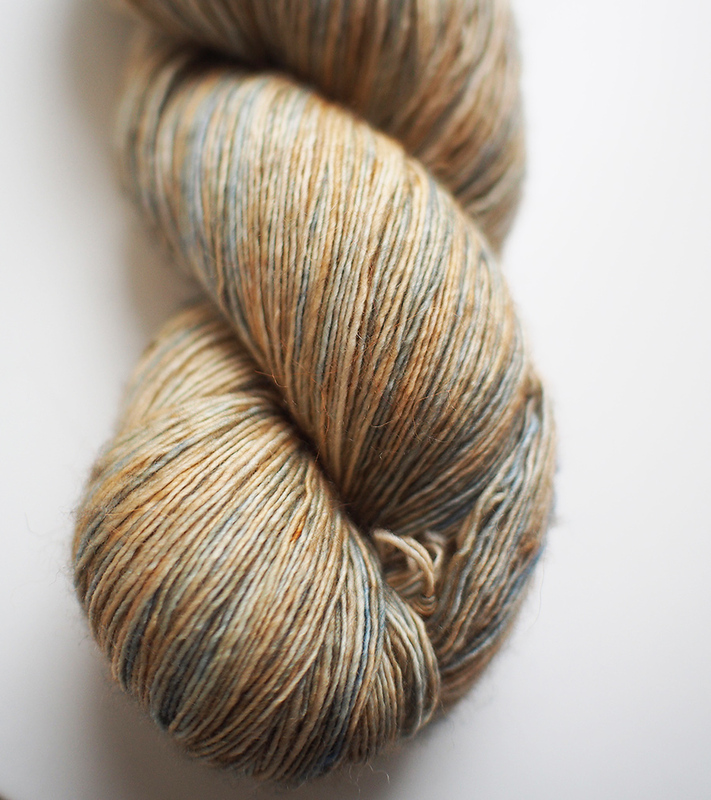 kazlove on Ravelry, I like the Santa Cruz and Topanga Canyon, love all the California names too. 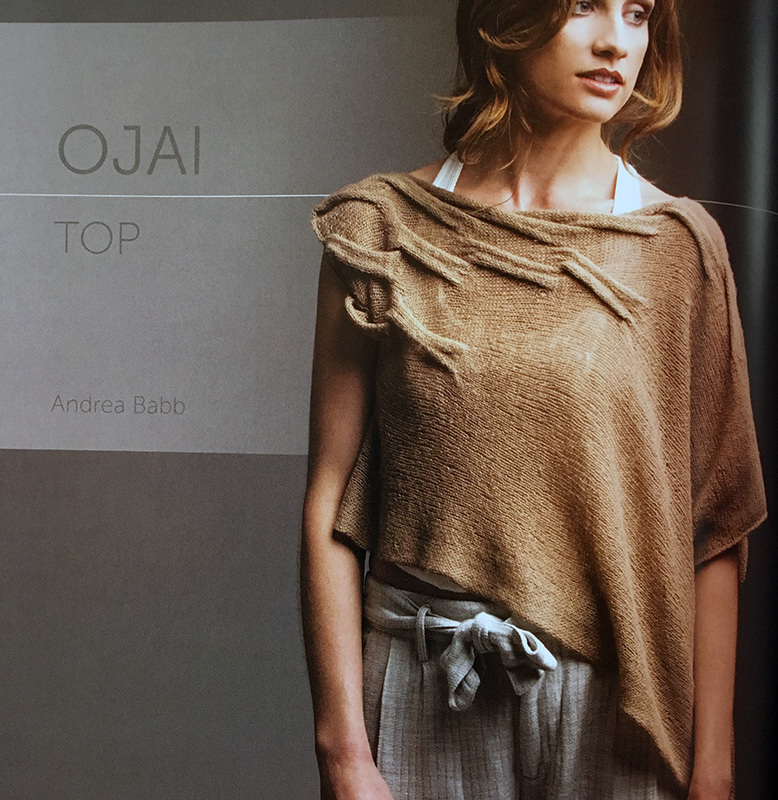 I love the Ojai top! The asymmetry is awesome. I'd start with Hyannis Port, but that was a tough choice. 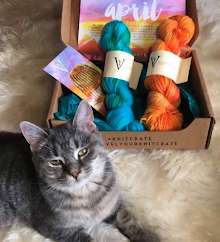 My ravelry I'D is margvv. This is difficult. So many gorgeous designs, but if I’ve to pick one it would be Pismo Beach. My ravelry id is Rixtann. 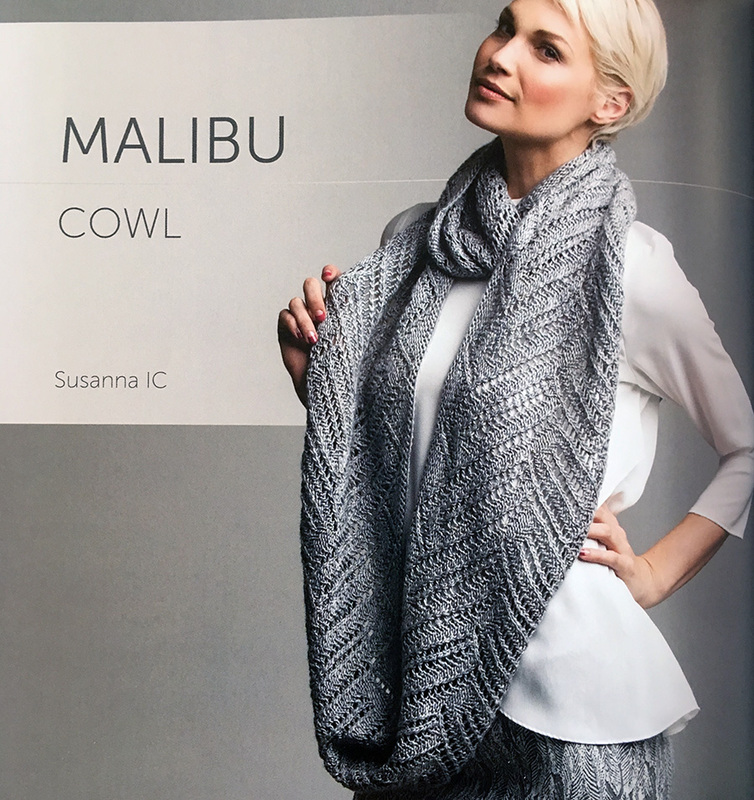 I think I'd start with (finding a special skein for) the Malibu cowl, but the Santa Cruz wrap is a good second! My ravelry ID is carlitaz. OMG, they're all wonderful! I guess my fav is the Topanga Canyon cardigan though. My ravelry id is MichaelaSu. Pismo Beach-I have a number of these in my favorites already. Ojay top is my favourite! 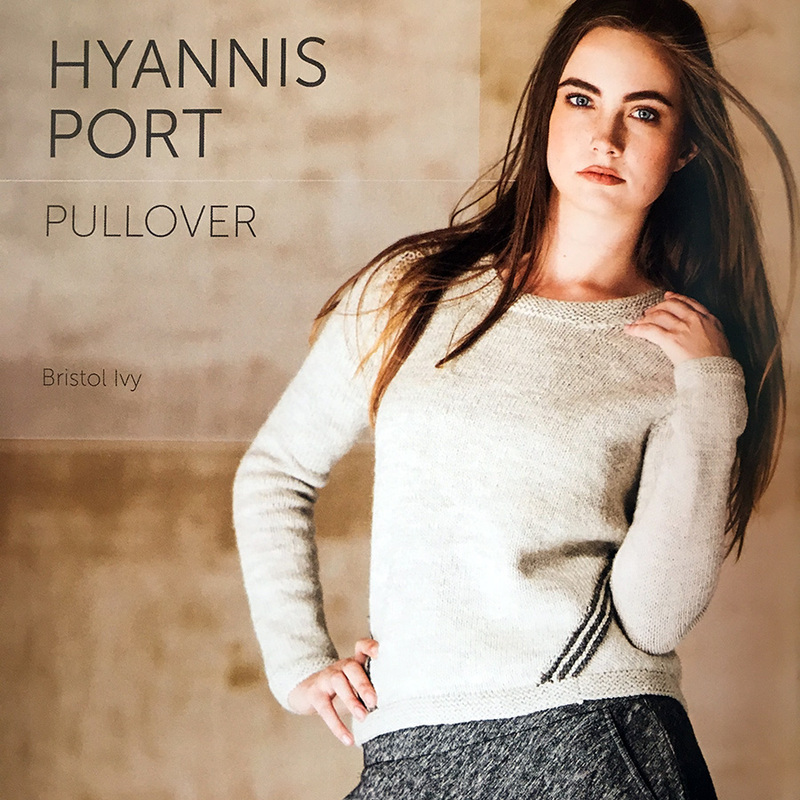 Chatham Pullover - why I went bonkers when Wool.Studio came out. 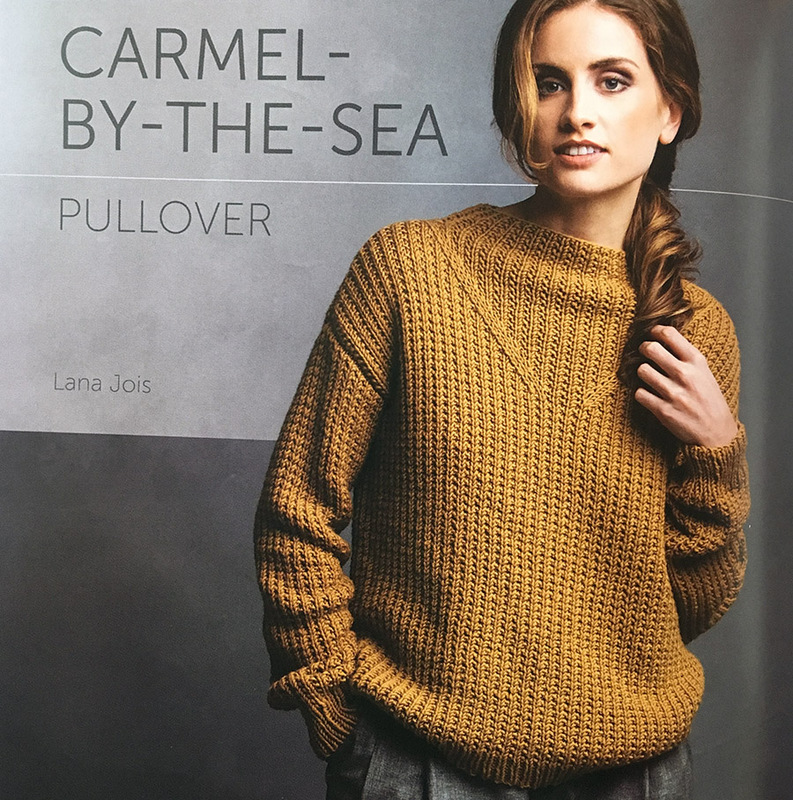 The Pismo Beach pullover is gorgeous! I would love to make that for my trips to the coast! Crikey I love 5 of them without paying too much attention! 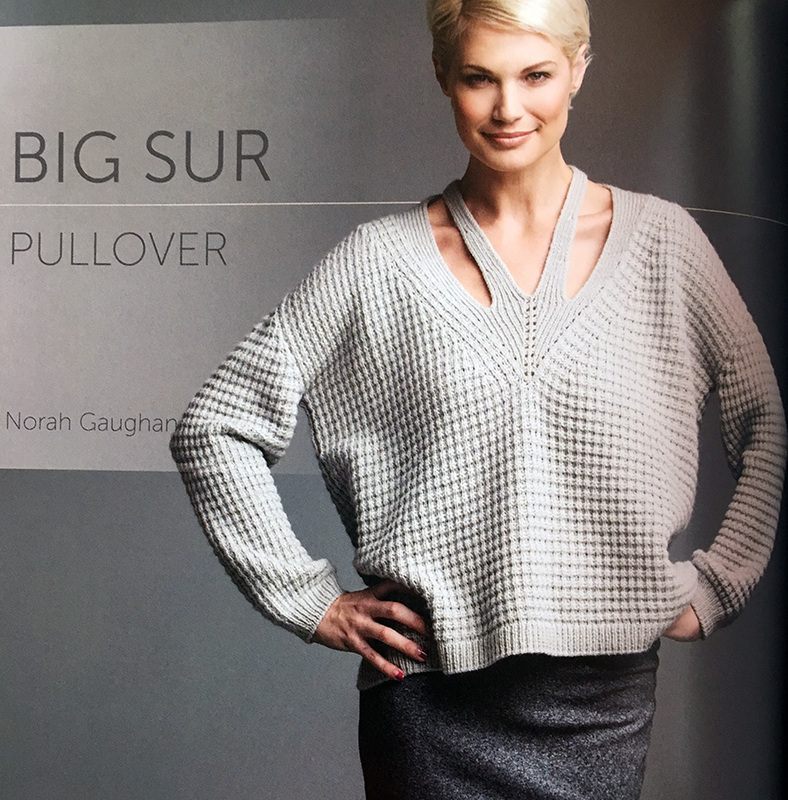 The one I would definitely knit first would be 'Big Sur' for 2 reasons - i) I love that quirky neckline and the stitch set against a loose, slouchy body, ii) I still dream of running the Big Sur marathon one day before I get too old and decrepit! 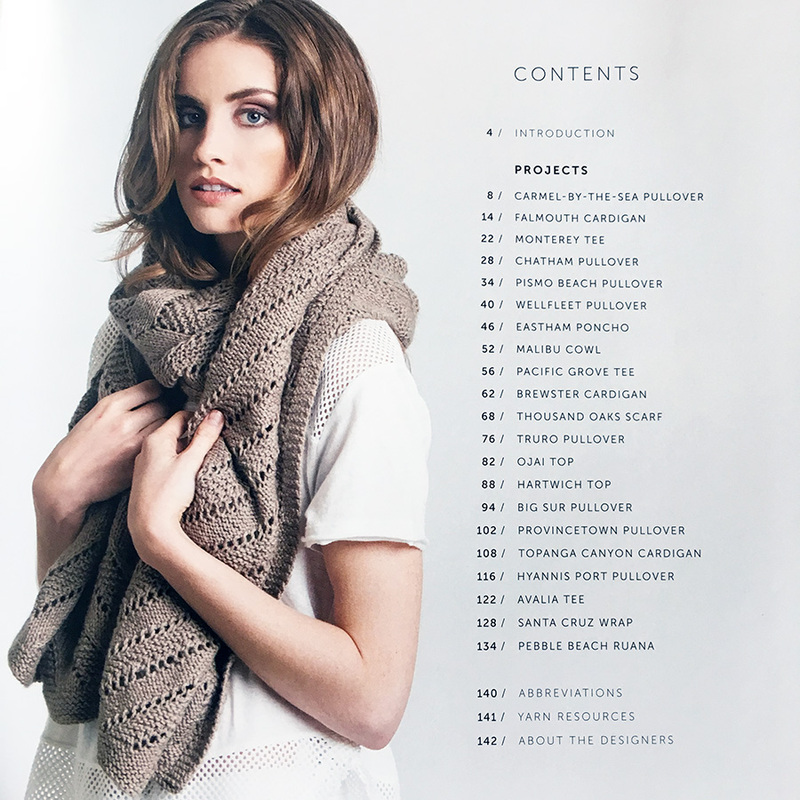 I really like the Eastham Poncho and my Ravelry id is sjg082548. 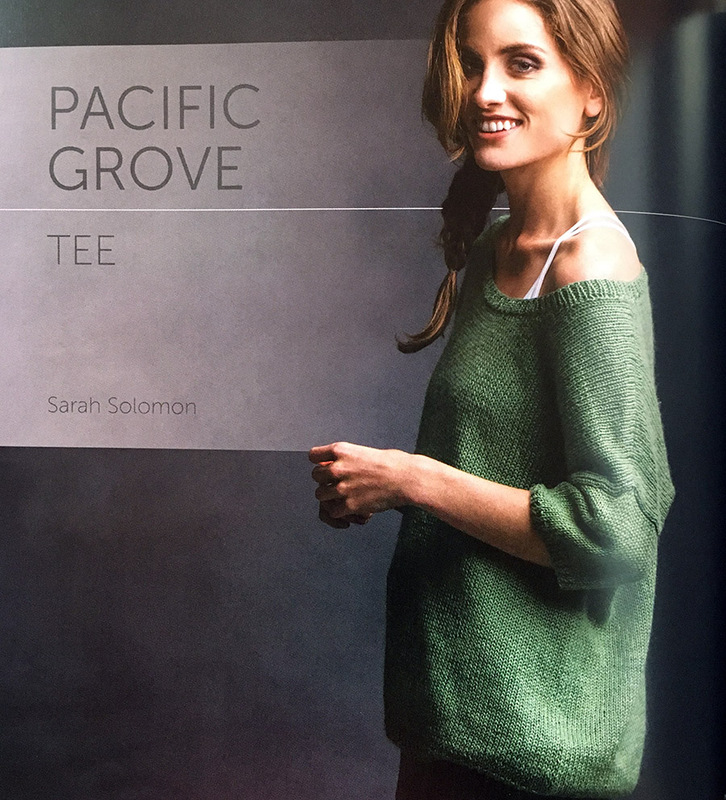 Hee hee - Ojai caught my eye right away, but it's really a poncho, which I don't wear well, so my vote is for Pacific Grove (though Pismo Beach is nipping on its heels). Btw, is this a "best of" or "brand new" collection? The design names all follow a West Coast/East Coast theme, so if not new then they must have been renamed for the book. 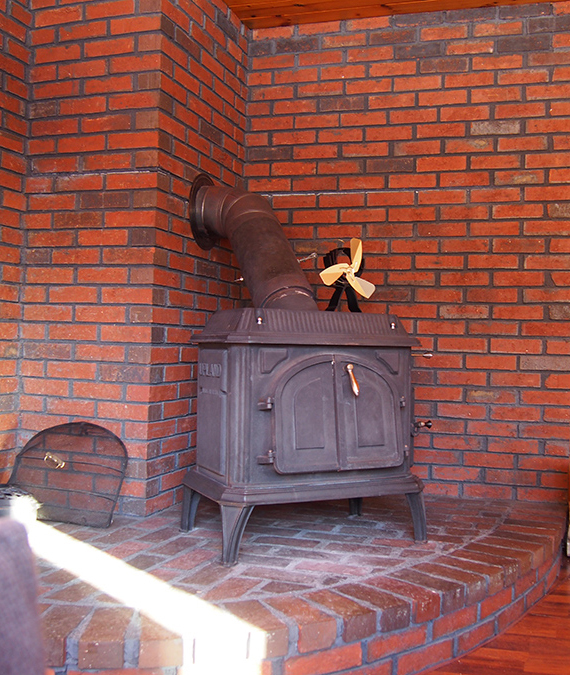 Linda Marveng's is the only one that looks familiar to me, but then I've probably seen it on her blog. At any rate, thank you for the drawing. If I'm the lucky winner, notify stashdragon on Ravelry. I, too, love knit.wear and have often rued the fact that you can't subscribe. 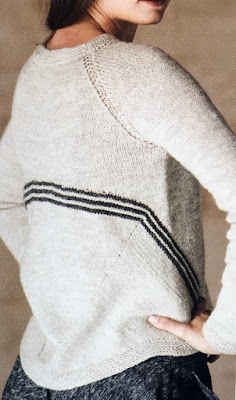 Hmm, I'm wondering if I could make the Chatham with some yarn I have been searching for the right pattern to suit. Luckily I do have that issue! It's hard to decide. I'd start with Avila. So many to choices! so much knitting! I'd start with Monterey. Thanks! 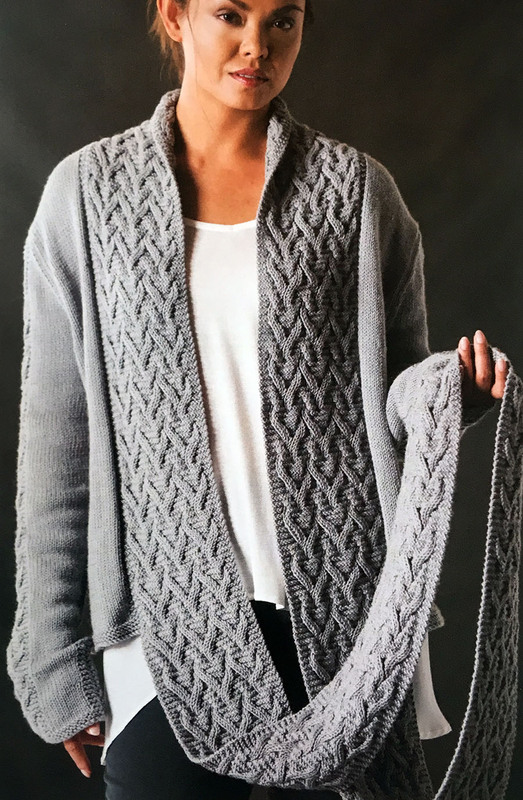 NancyGoodrich is my Ravelry name. 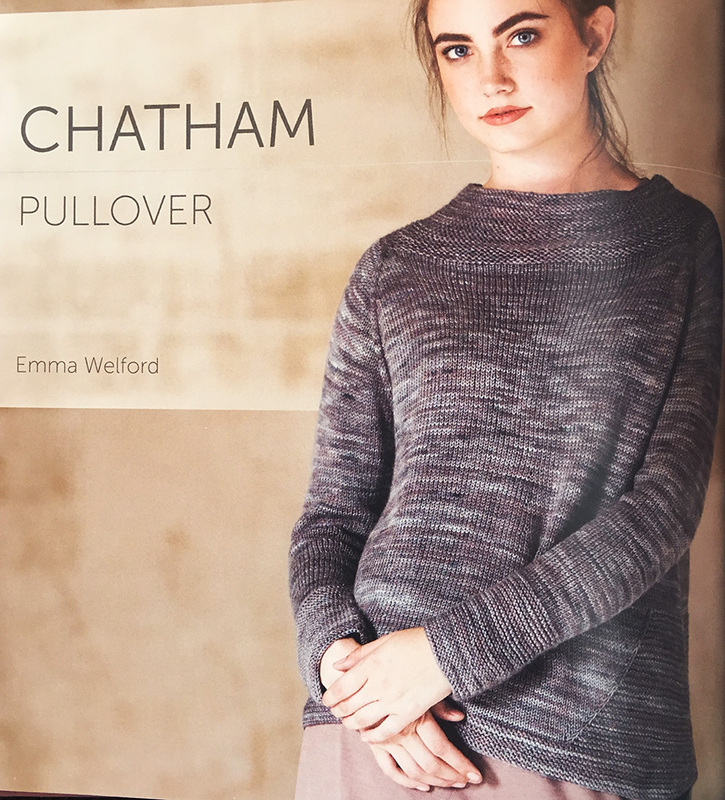 My favourite model is the Chatham Pullover by Emma Welford. You can find me on Ravelry. I don`t know where to find the Number. I am relatively new on Ravelry. My name is Christina Hees. You can also find me on Facebook and Youtube under the same name. Love your work and your attitude a lot. Saw you on one of the Fruity Knitting Podcasts today and loved the interview a lot. Oh, that Avila Tee! That got me! but so many clever constructions. Thanks for the post. 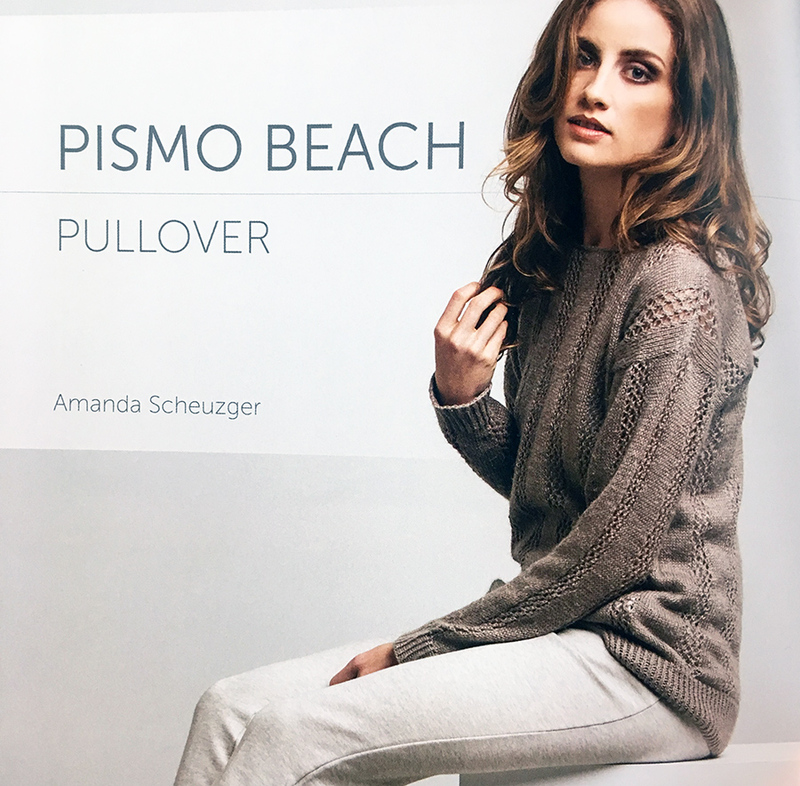 Oh gosh, Pismo Beach calls to me as a sweater I would wear all the time, plus I’ve camped there and spent time on that beach. 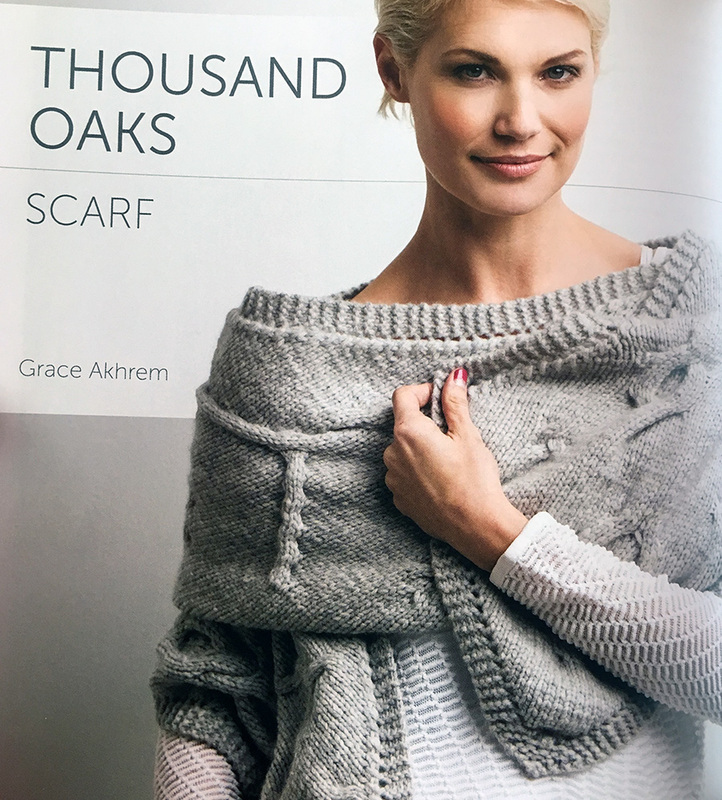 But...but...I raised my family in Thousand Oaks, so maybe I need to make that wrap...actually, there are so many great patterns in this collection, plus, having spent the first forty years of my life in California, just the names bring back wonderful memories so it would be like knitting memories with each pattern. My Ravelry name is cartwrin. Thank you for this post, ever grateful. Hi Nanci -- I hope you're still pining for your California days because YOU WON THE GIVEAWAY! 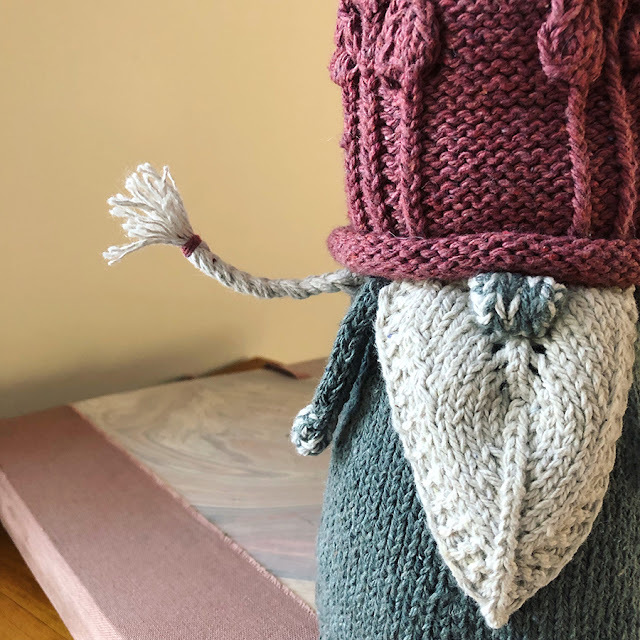 I will be contacting you on Ravelry, thanks for entering the contest. 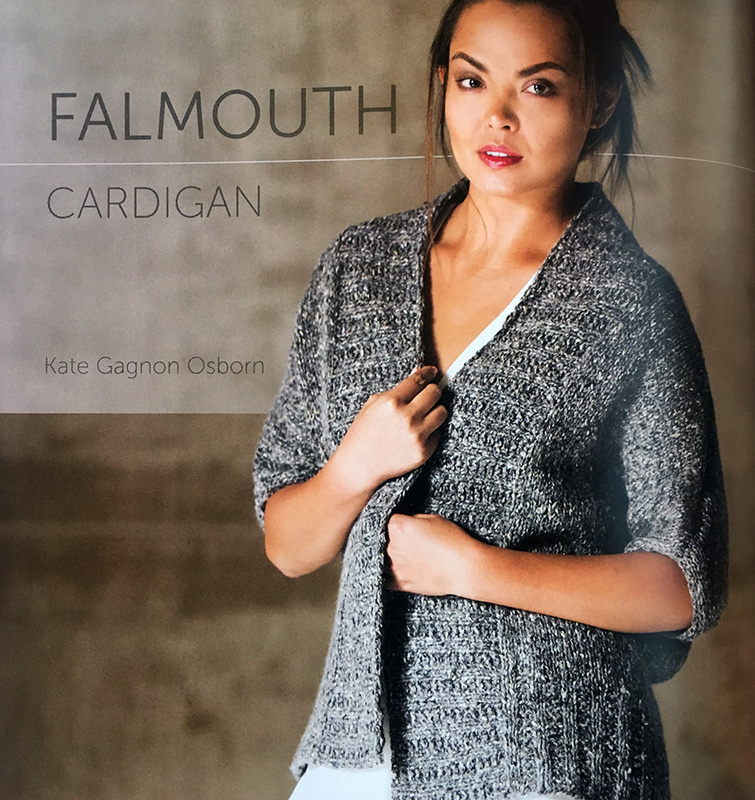 I love the Brewster Cardigan, I'm Sewsable on Rav. There are a few other patterns that I rather like too. I like the Santa Cruz wrap. Ravelry ID is charlottetucker. 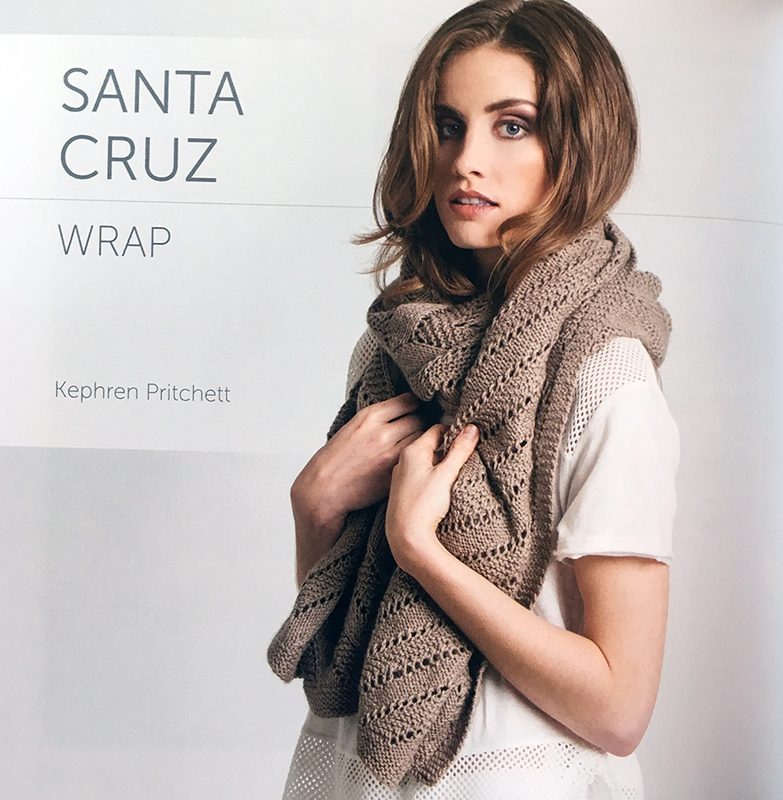 My favorite is the Santa Cruz wrap. Rav ID is slawson. 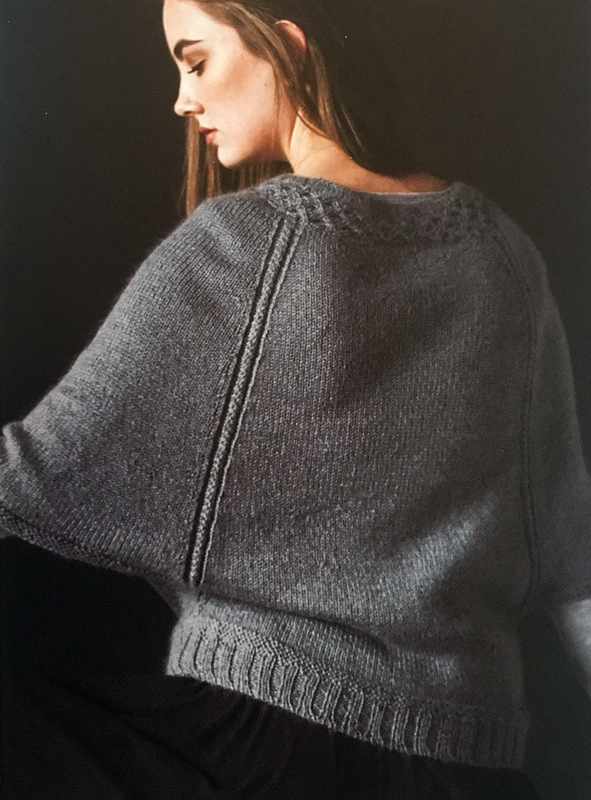 I love topanga canyon... but I’m with you, needs a lighter wool... I’d also change the ribbing along the bottom edge, make it a bit longer, & maybe add a wee bit of waist shaping if possible.... but may not be needed in a lighter wool. Yay! I’m counting votes now. 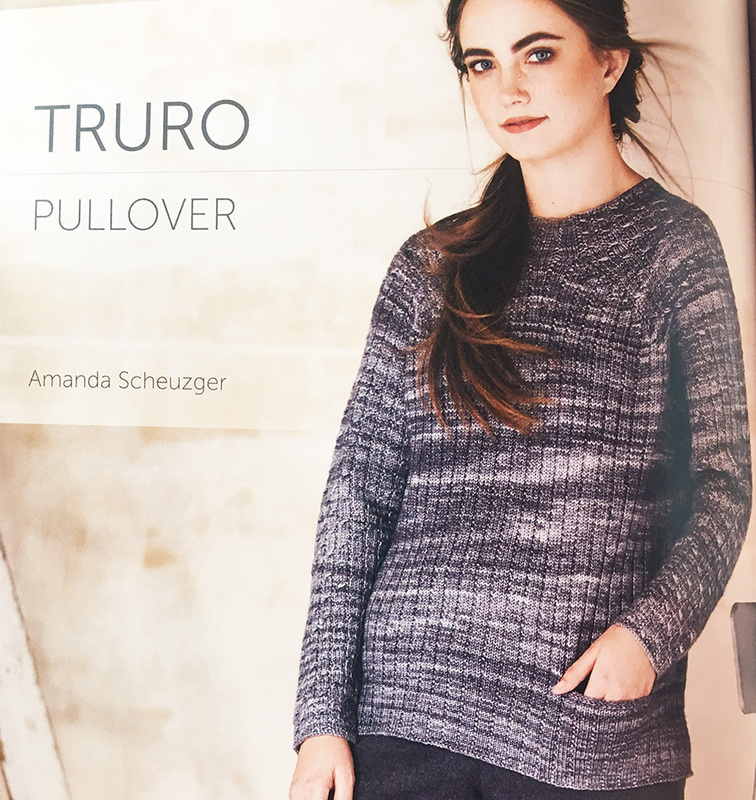 I am so thrilled that you wrote about the book, and that my pattern came third in the popularity vote! Thank you Dayana and to all who commented!